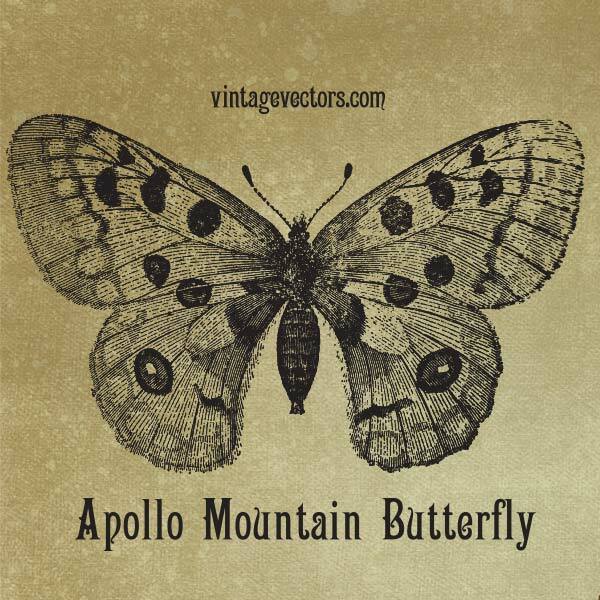 Apollo Mountain Butterfly Vector. It is white with two red, black-edged “eye marks” on its wings. The Apollo butterfly (Parnassius apollo) is a beautiful white butterfly, decorated with large black “eye” spots on the forewings and red eye-spots on the hindwings. Can this be used for commercial use? This is a lovely vector. Thanks so much for sharing!